There’s nothing like homemade bread. Nowadays, homemade breads are a luxury. But this is one luxury that I do want to indulge in. Nothing beats eating freshly baked bread – biting into that warm dough, seeing the butter melt when you slather it onto the piece that you’re holding. Hmmnn.. Sadly, I haven’t tried baking bread, on my own at least. I did it a couple of times with some girlfriends quite a while ago, and the bread came out good. But I cannot own the bragging rights about its success, because I did not do it by myself. Bread baking has always intimidated me, but it is not to say that I am not willing to take on the challenge of learning it. I really would love to learn the art of baking bread, not just on bread machines, but the good-old fashioned way of kneading the dough by hand. But how else am I going to learn if I don’t try ? As they say, practice is the mother of all perfection. So, what am I waiting for? I looked through my cookbook, Baking With Julia. Oh my, there were a couple of pages of instructions for making different kinds of bread. I thought, I can never do this! Fortunately, I did a research and found this recipe in La Tartine Gourmande’s site. 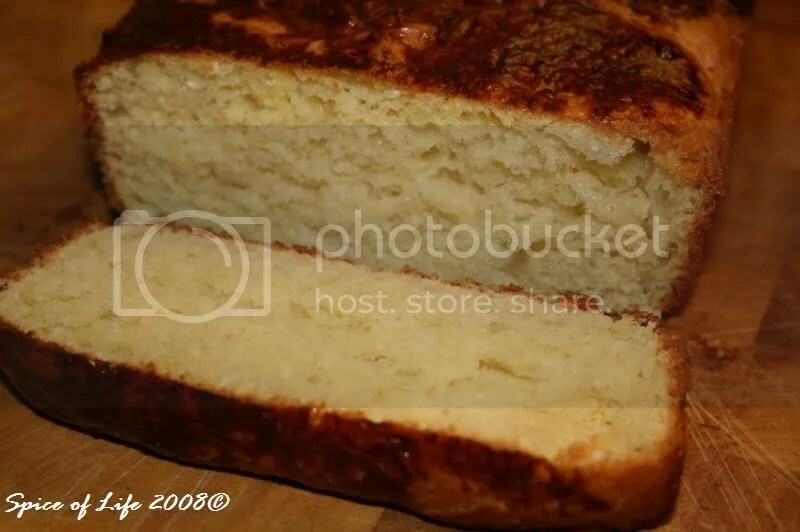 A Brioche recipe!!! And I happen to love Brioche too. I ate this bread a lot when I was was in Europe. 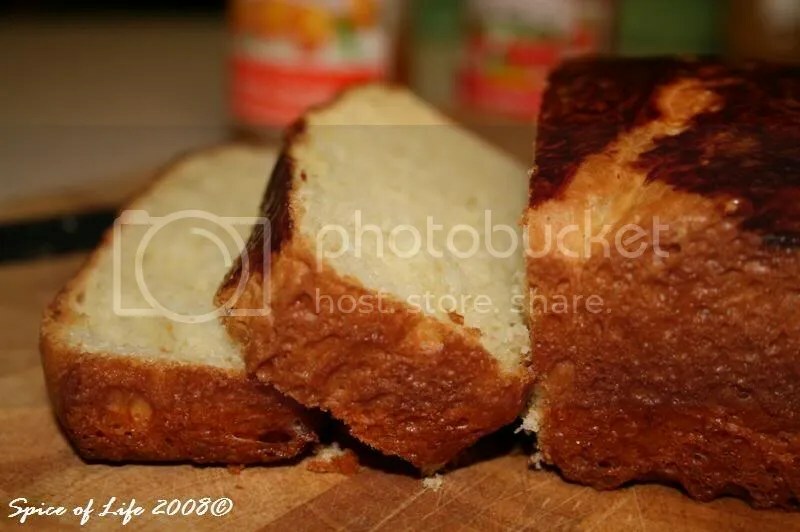 It is the simplest brioche recipe ever! Yipee! It is a perfect starting point for me. So, I rolled up my sleeves to do what would be my very first homemade bread…. Hmmnn… I just love the smell coming from the oven while the bread was baking. And my brioche came out not too bad for a first try. You can be sure that I will make this again. (Now this is a potential problem as Brioche is not the bread for the weight conscious). I would have eaten at least half the loaf as soon as it came out from the oven. I had to exercise utmost self-control. Thankfully, I was able to stop so I had some left for breakfast the next day. 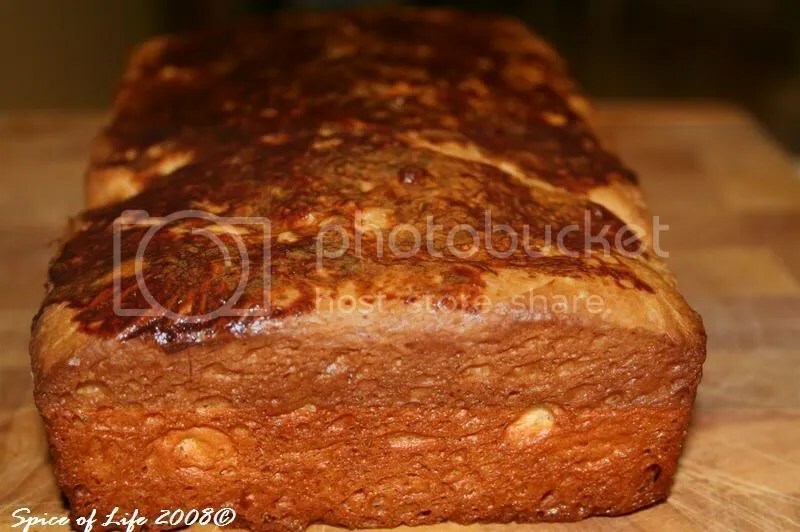 Many thanks to Bea for this user-friendly recipe! 1. In a bowl, mix the flour with the yeast, make a hole in the middle. 3. Add the sugar and a pinch of salt, then add the soft butter, piece after piece, waiting each time that each piece is asborbed. 4. Then one by one, add the eggs, mixing well between each. Work the dough until it is elastic and detaches from your fingers more easily (or from the bowl of the stand mixer). 5. Cover and let rest in a warm place, away from drafts, for two hours, until it doubles in size. 6. 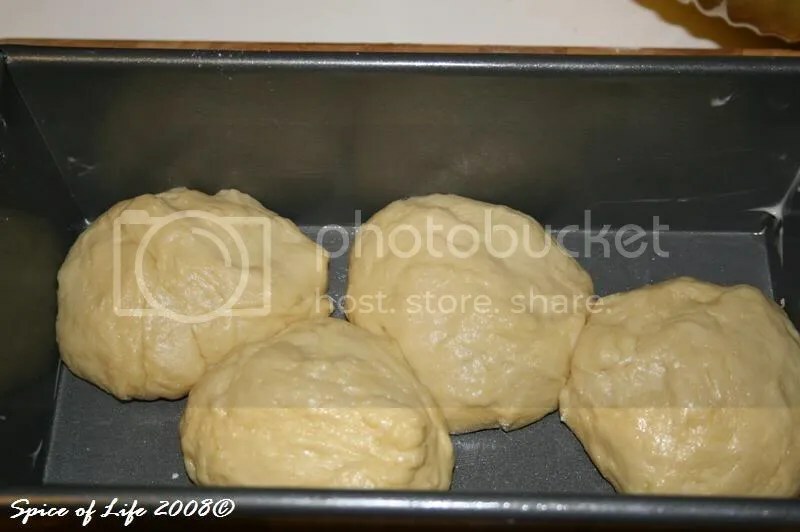 Work the dough again for 10 min and divide it in four balls. Place them in a greased rectangular mold and cover. Let rise for an hour again. 7. Preheat the oven at 400 F.
8. Brush the brioche with the egg yolk mixed with a dash of sugar. With a pair of scissors, make small cuts at the top of each ball. 8. Place in the oven to bake for 10 min then reduce the heat to 350 F and bake for about 20 to 30 min. 10. Remove, unmold and let cool on a rack.